Create a pre-launch page and add new subscribers to your Campaign Monitor list with this stylish WordPress theme. Includes custom field support. Launch Effect collects detailed information on who signed up on your site, their viewing behavior and how many referrals they generated. This is where integration with Campaign Monitor comes into play. With your Campaign Monitor API key handy, you’re only a few moments from syncing email addresses, as well as visit and conversion data with an existing list in your account. Data collected by your form fields can be used to populate custom fields in your list, meaning that you can go on to send highly-targeted email campaigns to your new signups, reward referrers, respond to feedback and more. Launch Effect Lite is free and features Campaign Monitor integration, as well as all the bits and bobs you need to setup a great site. To do more, Premium licenses are available for $35 per single site license, $65 for unlimited. Premium licenses come with superior support and lifetime updates – great for designers and agencies! To find out more and try Launch Effect for yourself, visit their site. 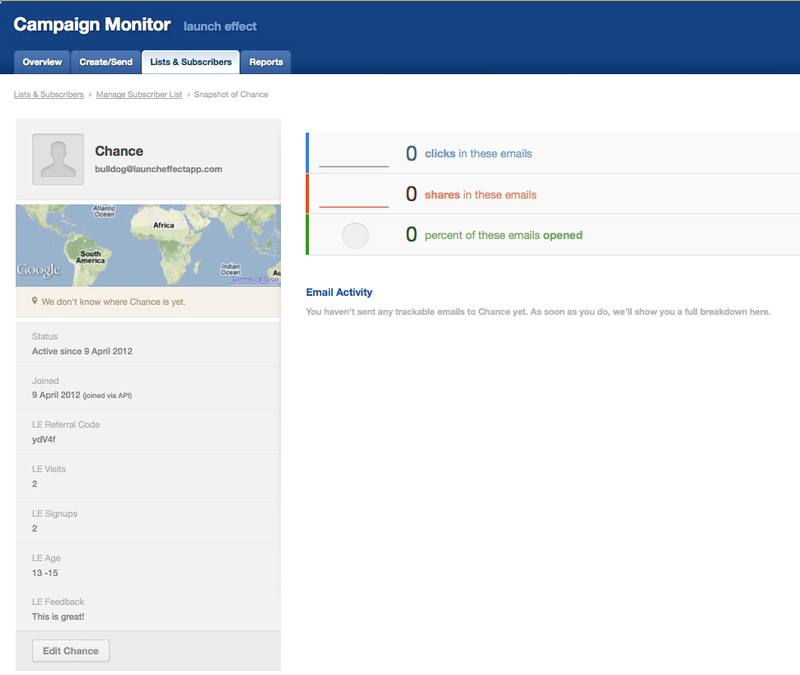 Follow Up Boss Developed by PieSync Enjoy continuous two-way syncing between Follow Up Boss and Campaign Monitor with PieSync's connector. Unbounce Developed by Unbounce Create, publish and optimize highly-customizable landing pages and maximize your email signups. Agile CRM Developed by Zapier Share contacts between Agile CRM and your Campaign Monitor subscriber lists with these powerful zaps by Zapier.